A breathtaking portrait of Kenai Fjords National Park. 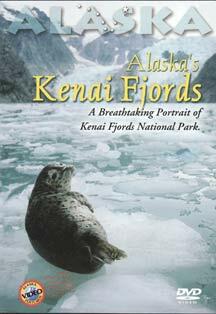 The extraordinary sights and sounds of the magnificent Kenai Fjords are beatifully captured on this DVD. You'll watch as tidewater glaciers calve icebergs into the sea. Visit noisy Stellar sea lion and bird rookeries off the rugged coast. Cruise the pristine waters and soar above the coastal wilderness. The journey starts in Seward where you'll see the only "drive-up" glacier in the park. From the port, you'll travel through Resurrection Bay to the coastal waters of Kenai Fjords. As a bonus, we've included behind the scenes footage of the Alaska SeaLife Center and a music video of Kenai Fjords. 60 Minutes.